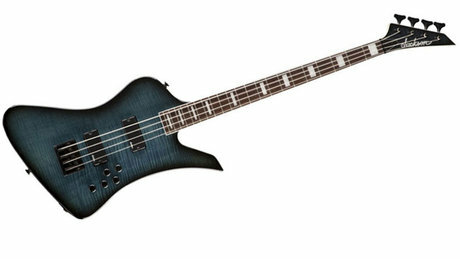 Long-term Jackson endorsee David Ellefson (Megadeth) has teamed up with the US metal guitar firm once again to unveil two new instruments - the JS2 and JS3 Kelly Bird basses. Both basses are based around the much-loved Kelly guitar shape and aimed at the more affordable end of the market. 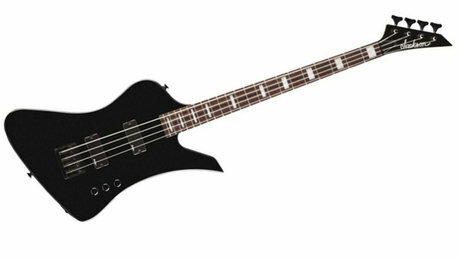 The JS2 (pictured here in Matte Black) has a basswood body, maple neck, two Jackson JS Hi-Output humbuckers and Jackson-branded hardware. Controls-wise there are independent volume knobs for each pickup and a single Master Tone pot. Also available in Burnt Cherry Sunburst, the JS2 has an MSRP of £334.80. Sister model the JS3 (pictured here in Trans Blue) features the same specifications as it's slightly more affordable sibling, but adds a three-band EQ and offers Trans Black and Trans Blue finish options, with an MSRP of £382.80. Both basses should be available immediately. Head to Jackson Guitars for more information.